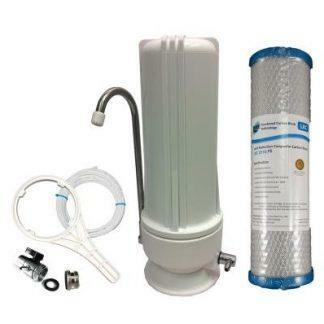 Reverse Osmosis System Complete Kit (DIY) Removes FLUORIDE 50 Gallon per Day Includes: Inlet Adaptor 3/4″-Opening Spanner-Tubing-Thread Tape-Instructions. 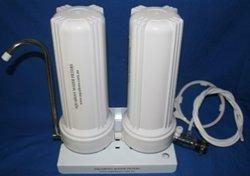 Stage 1: Carbon Filter 5 Micron Lasts 6 Months. Stage 2: 50 GPD CSM R/O Membrane. 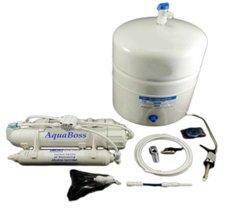 Lasts 1-5 Years. Stage 3: Carbon Filter 1 Micron. Lasts 12 Months. 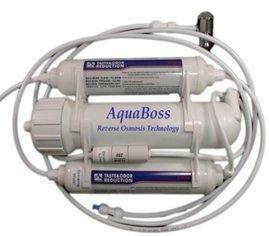 RO water reduce or eliminate TDS (total dissolved solids) salts, minerals, & inorganic minerals from our drinking water. Inorganic minerals consist of calcium, iron, magnesium, carbonate & lime compounds. The bodies cells reject theses minerals leaving dissolved inorganic substances (acid crystals , minerals deposits) throughout the body.